Only three things are certain in life kids, death, taxes and that our updates take YEARS to show up! 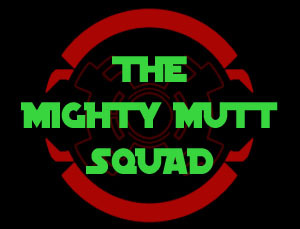 In fact, this isn't really an update for us, it's an update to The Mighty Mutt Squad which we are proud to host here, so check it out! And yes, eventually Raptor Squad will have an update of our very own, we've just been busy making babies and dealing with real life! All Rights Reserved.Do not redistribute any of this site's content without permission. All Star Wars characters,stats, ships and elements are Copyright 2012 Lucasfilm Limited & West End Games. All content, art and characters not contained in the official Star Wars universe are Copyright 2011 Bob Rodgers or their respective creators. If you have any questions or comments regarding Raptor Squad and its contents, please send email to Vic@RaptorSquad.Net.